Where your mai-tai is always refreshed. THE SCENE: Oh Europe! You lover of American culture you! How thankful we are that you support jazz and techno and comic books and interpretive dance cause we here in America need a helping hand to validate our own greatness! We love us some Hendrix but damn if he didn’t have to go to England to get a leg up. This outright dismissal of homemade brilliance happens less in New York, and its downtown music scene of the early ’80s is where the zoot-suited Kid Creole and The Coconuts made their mark. Their revelatory blend of swinging salsa, frenetic funk and big band Broadway show tunes populated their 1981 album Fresh Fruit in Foreign Places, which found only a tiny audience. For their next album they turned up the gloss without losing the crunch, resulting in the dazzling Wise Guy. An audio vacation cruise to exotic unknown locales, each cut shimmers and shakes with lusty abandon. Much like the Kid himself all the songs are danceable, humorous, nuanced and oh-so-sharp. The calypso and soca-fueled “Annie, I’m Not Your Daddy” cleverly shows off the lighter side of pre-DNA paternity testing (“cause if I was in your blood, then you wouldn’t be so ugly”). The romantic and dangerous “The Love We Have” mixes cold strings and warm horns into a frothy jungle drink of icy confusion. “I’m A Wonderful Thing, Baby” features a subdued swagger, its rippling muted guitars supporting a laundry list of the Kids’ liaisons. Deep grooves with dark themes cloaked in confectionary glaze, how could anyone resist? THE FALLOUT: Like Jimi Hendrix and James Baldwin, Kid Creole and the Coconuts blew up in England big time. Retitled Tropical Gangsters, it was a top five album, produced three hit singles and stayed on the charts for nine months. But back in the States it fell off the chart faster than a baby bird out of a malformed nest. Except for the rare dance hit, Kid Creole and the Coconuts never broke through to most of America. 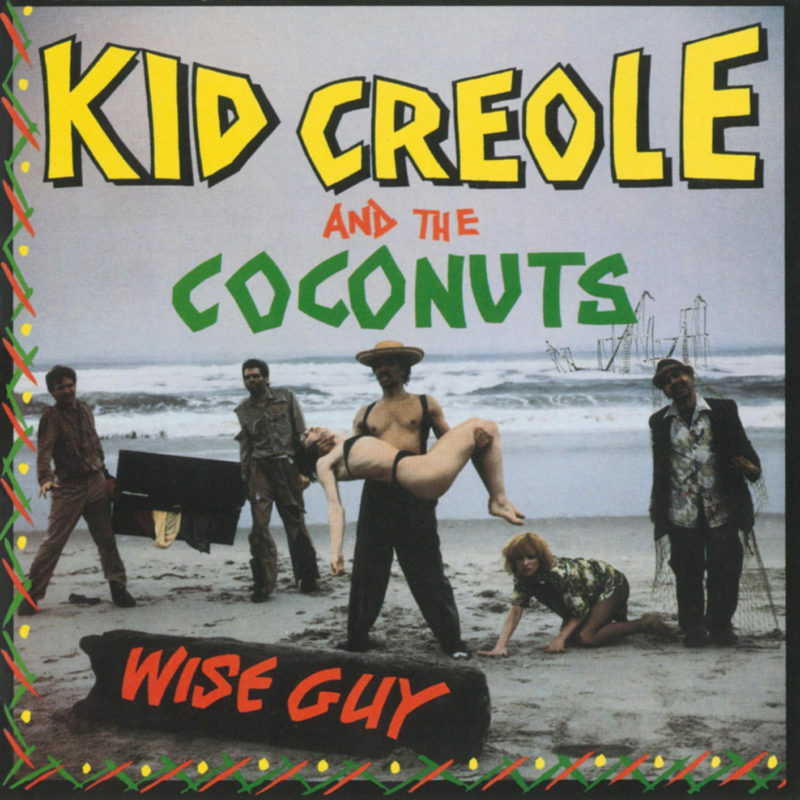 Groundbreaking in its world music synthesis, Wise Guy dances alone. NEXT WEEK: Click into the future with Spacek.